With the last race of 2014 done and dusted in November, my thoughts for training in 2015 (and first race of the year, Seville) were already forming. How was I going to strengthen and cross-train, increasing frequency of both, and what areas could I improve in? I was still chasing a sub 3:30 marathon. After a month’s rest my first decision was to try and improve my overall strength so I invested in a Matt Roberts weighted vest (£39.99 from Argos), something I had been thinking of doing for awhile. The vest has 16 pockets and with all weights in every pocket weighs 10 kg (about .6 kg per weight). I tended to carry 6 – 8 weights when using the vest, although I didn’t wear it on all training runs. 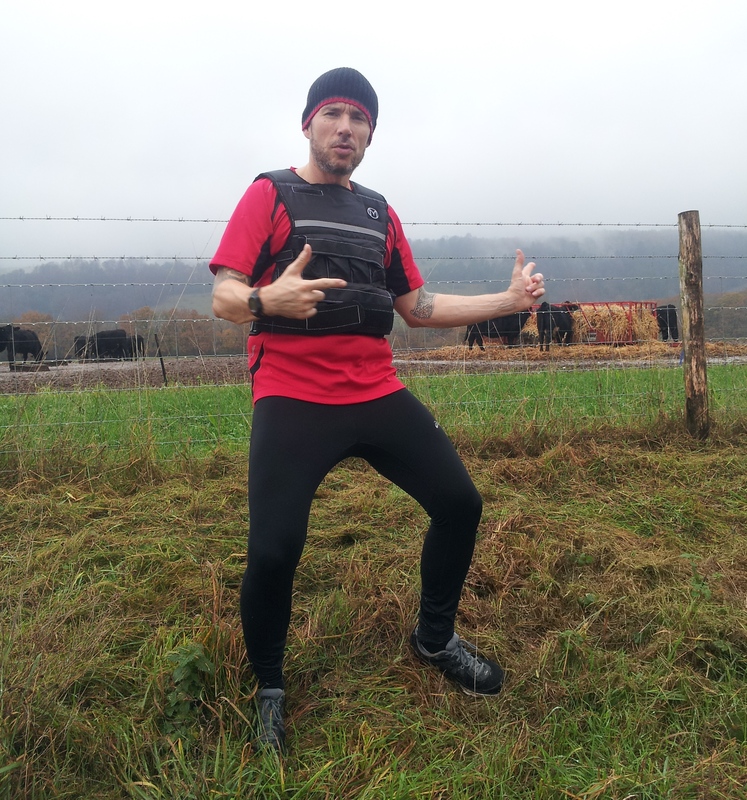 For the times I ran in the vest I felt it really pushed the energy and strength levels on my torso and legs. After several weeks of use I really did start to feel the difference. I also wore it while strength training at home. My press-ups/indoor fitness workouts were twice as hard but the reps reduced (as well as the amount of time spent doing them). My next move was to invest in a turbo trainer (I picked up a good deal on an Elite Magnetic at Halfords). Having purchased a road bike earlier in the summer to use in duathlons/triathlons (first duathlon done in October) and with the winter months approaching, it was a good option to keep my cardio up and the legs moving. Just 30 minute sessions during my lunch breaks (I work from home) had the sweat dripping off me and my heart pumping. Combining this with taking the bike out on the open roads, hitting the hills of Dorking, the strength in my legs improved ten-fold. Frequency and variation of running distance and terrain has also been something I have changed. From the usual road running I have now included hitting the trails with Ro along the North Downs close to home. Increasing my mileage on a weekly basis I have used Saturdays as a long run day followed by a recovery trail run on Sundays. Lots more hill running and uneven terrain has improved my cardio and strength in my ankles. So far my plan for a 2015 of more committed and continuous training has gone well. I feel stronger in my running, my stamina has increased and I feel stronger overall. Bar a minor hamstring injury which I have been resting in the fortnight leading up to Seville, I am really pleased at how it has gone and of achieving my longest training run (20 miles) with genuine ease which is proof enough for me that my changes in training has been a success. Will Seville be my 3:30 marathon? You are really dedicated to your training! Using a weighted vest! Puuuh Don’t know if I would make the move! I am happy for you if you feel ready for you 3.30 marathon and really hope it will give you what you expect. Your article reminds me that I really need to do more cross-training! Have a lovely day!